Quote OptoData, can You help them with this problem? You already know that you can convert the audio clip to another format and/or bitrate, and the new clip should work fine as long as the app you're using has a different codec library. Since the problem seems to be with how the media libraries are set up on your machine, one thing to try if you want to change that is to download and install the K-Lite codec pack from here. Be alert for unwanted apps when you install, but you should be able to opt-out of installing everything but the codecs. You can try the Basic or Standard versions and the comparison chart is here. Thank you Tom but I finally got it to run setup. There must be a problem with my CD drive as it took 5 attempts to finally recognize the cd. I made sure autorun was enabled but it wont play any discs on autorun. When I called Best Buy (where I bought the computer) The Geek squad told me that Microsoft quit using the autorun feature on the newer Windows 10. Doesn't sound right but what do I know. That change happened because years ago, when people usually installed software from discs rather than by downloading it, there were some pretty bad malware that got onto lots of systems via the autorun feature. This Wikipedia article has more, but it only discusses Windows versions up to 7 and Server 2008. No mention there of 8, 8.1 or 10, but you can see why it's now disabled by default. Quote I have a clip in a project in which a video begins with "I sh..." that isnt an expletive, that is a quote. It stops short of the sentence,. I highlit that clip, and play it and that partial sentence doesnt play. But when I play it in the timeline it does. The clip before it is a title card. I ended up removing both the title card before it and the video clip that stunted sentence was in, but the partial setence showed iup in the next video. I looked below the timeline to see if I had placed another video on it and I had not. I dont want to start my entire project over, but I cant seem to edit the mystery clip because I cant find it. He was pointing out that the tutorial you watched was made for PD12, even though the link came from the PD16 support page. Quote Now I am meeting new problem. 3. It often stop while rendering. Spec. Windows10 64bit, Intel celeron N3350 1.10GHz, RAM 4GB, Intel HD graphics500, 35GB free HDD space. Your computer will have a hard time processing 4K video. It's simply not powerful enough, and 4GB of RAM is probably too low to have any other apps open when producing. Using shadow files may help, but you will need to let PD finish creating them each time you want to edit a new project. Can you also please follow the steps in the Read Me Before Posting sticky thread to run the DxDiag test and attach the results here? That will tell us much more about your system and how it's configured. Quote I'm hoping this is not one of those problems since I'm famous for finding ones like these. Changing/updating video drivers is SOP for dealing with all kinds of PD and video problems, but that doesn't mean that your issues have anything to do with nVidia. Can you go back and try my earlier suggestion of working with the sample Skateboard clip? Make a screen recording (and maybe try using the Cyberlink Screen Recorder2 that gets installed with PD to rule out any Bandicam issues). See if doing your normal split edits cause the same issues with the sample clip. Use additional copies and/or any of the other sample clips if needed. If everything works normally there, then use one of the clips or projects where you've seen the issue in the past. Watching your workflow and seeing how your system responds may give us some deeper insight into the problems you're seeing. Quote There's something else I should mention. Since the only other thing that changed was the (at the time) newest NVIDIA driver being installed, I think the driver might be screwing with things. 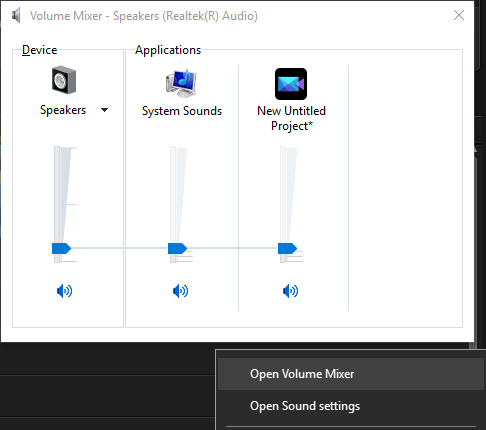 That audio lag is also happening in other programs such as VLC Media Player and the intro movies of some video games. However I couldn't find any reports of that happening, so I went to ask for help about the program that was giving me the most problems. It was the only other thing that changed. I'll try updating those things, although updating the BIOS sounds risky. You can remove the existing nVidia driver using the normal Windows app uninstall procedure and download an older version from the nVidia website to test out your theory. The BIOS updates are marked "Urgent" by Dell, and the process is nothing like the old days, however it's certainly your call whether to act on this or not. Genrally speaking, audio lag across apps can be a symptom of the system running near full capacity, meaning that 1 or more systems are near their upper bandwidth limits. You can open up Task Manager and see if CPU, Disk or GPU percentages are up near 100%, and then look at what processes are pushing your PC to run this hard. In my experience, there is also a performance issue with PD17 whenever a browser is open, especially Edge. For some reason, having the browser running (regardless of how many tabs are open or what their contents are) always slows down PD's opening and saving times, and can even slow PD to a crawl as described here when working with titles. This happens even though Task Manager shows plenty of bandwidth available. When an Intelligent SVRT profile is available, it will always be the same encoding format that your source clip is encoded in. Here, your source clip is H.264, so you can't use SVRT if you want to produce to H.265 - you have to do a full re-encode and it may take much longer to produce. If you have an H.265 source clip, any available SVRT profiles will always be H.265. 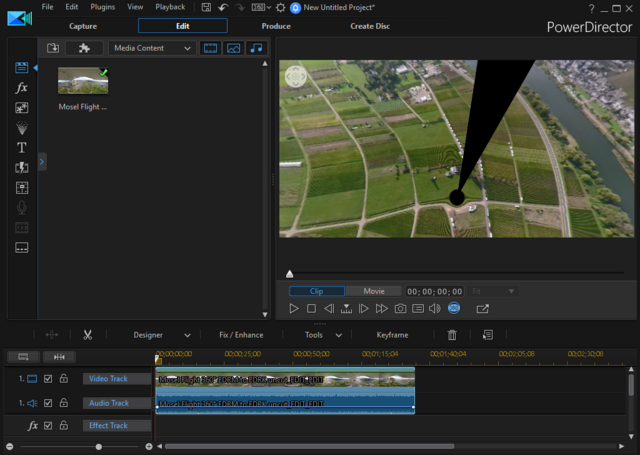 Quote I should also clarify something I didn't before - clips placed straight into the timeline usually work without many issues, but only when I use the "Split" option do the problems start. It seems 17 has trouble handling clips which have been split. That's an issue since I need to use that option for my style of YouTube videos. That's not to say untouched clips don't have issues - they do, but they're more likely to if they are split. Thanks very much for the new info. There are actually newer versions for your nVidia GTX 1080 (425.31 came out a few days ago; you're running 419.67). The Intel driver for your embedded HD Graphics 530 GPU is a year and a half out of date, and even your BIOS has been updated two versions (according to the Dell/Alienware support page for your Aurora R5). Also, you haven't yet installed the 2720 beta patch for PD17. That update solves a large number of issues but introduced a few others, so look over the fixed issues and the new ones to see if you want to update PD. Make a system image or system restore point before you update so you can easily go back to the current configuration. Upgrading is fine to get more features, but you'll need to create a custom profile regardless of whether you get PD17 or keep your current version. Follow these simple instructions. Quote I would like to move clips that have been edited in one project and use them in another. It is a simple cut and paste? Do I have to move the original full unedited clips from project A to B? There are several options. The easiest may be your first choice, which is simply to copy the selected clips, then open or create the new project and paste them. You can also insert an entire project onto the timeline of another project using the Insert Project command under the File menu. Under Preferences, you can choose to have the contents of the other project all appear on your current timeline (Expanded Project) or as a single block that you have to click on to enter (Nested Project). Please note that there are some known issues when working with nested projects that may affect how well they work with the main timeline content, but for simple projects it can be a useful option. Sorry to hear that you're having trouble. First, we're all fellow users who volunteer our time, and nobody is going to tell you "We can't help you." Cyberlink tech support wouldn't say that either, but it might take a while to get through to them. The best thing to do is to break this down into simple steps rather than looking at every problem at once. You said you've tried everything on the forums, yet you haven't provided the key diagnostic, which is the DxDiag test results. Please follow the steps in the Read Me Before Posting sticky thread, and also please post a screenshot of PD's version screen. There is important info there that isn't available when just reporting the version number. The next step would be to use only the sample clips that are provided with PD. Check the lower box from the Preferences > Project screen to automatically load them if you've disabled that option. Place the Skateboard.mp4 clip on the timeline and let us know if you can preview that with the quality set to Full HD Preview Resolution. Produce it to any HD profile and verify that it plays without the freeze. If PD can't do these simple tasks, we'll need to look at some foundational issues. If it can do these correctly but has trouble with your clips, we'll want to take a closer look at those, and uploading a sample to a cloud folder and pasting the link to it would be very helpful. Quote When I have a 5 minute clip and I save it down to 30 seconds, I want to save the file in such a way that it reduces the file size — so that it only save the new 30 second clip. I believe I need to export the file to accomplish this goal. If I import a .mov file I assume I should export it as a .mov file, but I do not know what the specs should be. Is there a way to pull up the properties of the existing clip so I can save it with the same specs? I cannot find anywhere within the program that tells me the specs of the current clip. I was talking about the link to another thread. Got it. Thank you for clarifying that. Like I said, I'll try out the instructions as soon as I have at least an hour available. Do you have a link to the original borderless vid you're working with? Strange that tomasc saw both vids as 360, bit Tony and I couldn't. I went back and tried setting the project AR to 360 before importing the clips, and got the AR conflict message when I placed a clip on the timeline. After toggling the AR setting a couple of times and trying both 360 and 16:9, I was finally able to get the timeline into 360 mode. I then created a custom profile with the settings I described above and have attached it here. I added a title to prove that I produced this version. The bitrate is 16.7Mbps and it's 189MB in size, so pretty close to the original and certainly not 3x bigger. It has the same scar as the original, and it can be downloaded from OneDrive here. tomasc has the answer for the limited produce choices. Neither of your videos appear as 360º clips when I open them in PD, so you will probably have to export them from your camera's app with different settings to preserve the 360 attributes. This version has been "flattened." Also, the reason your PD clip is 3x bigger is because your source clip has a bitrate of 14Mbps, while the profile you used to produce the PD version is 50Mbps. See what the choices are from the 360 produce tab when you import the true 360 degree version of the clip, and then use the steps in the other thread I linked to to create a custom 3840x2048 25p 15Mbps profile. Quote Seems the post/question/topic hasn't been delved into or atleast nobody gave answers. I'm not sure what you're implying. Several people spent some considerable time on this thread and provided clear answers to your questions. Pepsiman even shared a video created using his methodolgy that you verified was truly borderless. For some reason you aren't seeing the same results. I don't know why that is, but it isn't because nobody here bothered to respond or give you an answer. I understand that you're frustrated, but blaming people who've been volunteering their time trying to help you isn't a good way to advance your cause. If I had more time, I'd be happy to follow your steps exactly as you've decribed them and see if I end up with a borderless video or one with black bars. Unfortunately, I don't have much extra time right now, so unless you can wait a few days until I have time or until someone else has more input, I don't know what else can be done here. Quote Is there a way to import an image at its actual size, rather than having it fill the frame automatically? If not, is there a way to batch-select all the images at once and resize them the same? Yes. PD assumes that every image you put on the timeline should be rescaled to fit the whole screen, which is usually the right call because image pixel sizes can vary so widely. PD actually has two different clipboards, the main one that's used for content and can accept content from Windows, and a separate one for keyframe attributes. That means that you can do all kinds of normal editing and still paste the same keyframe attributes to other clips later on, as long as you don't close PD.